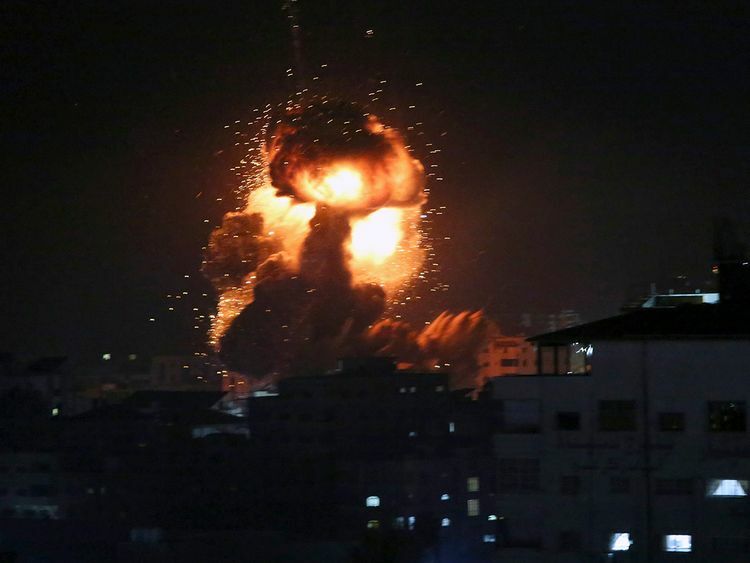 Gaza City: Israeli air strikes hit sites across the Gaza Strip on Monday in retaliation for a rare rocket attack that hit a house near Tel Aviv, before Hamas said a ceasefire was reached. Hamas said Egypt had brokered the ceasefire following the escalation that came just two weeks before Israel’s April 9 elections. Israel, whose strikes began around the same time Israeli Prime Minister Benjamin Netanyahu met US President Donald Trump in Washington, has not yet commented on the claim. “Egyptian efforts succeeded with a ceasefire between the occupation and the resistance factions,” Hamas spokesman Fawzi Barhoum said. The ceasefire claim came after Israeli air strikes hit the office of Hamas’s leader and dozens of other targets across the Gaza Strip on Monday evening. Those strikes were in response to a rocket from the Palestinian enclave that hit a home north of Tel Aviv and wounded seven people early Monday morning. On Monday night, a barrage of rockets were fired from the Gaza Strip towards Israel in response to the strikes, causing air raid sirens to ring out in southern Israel. There were no immediate reports of damage or injuries due to those rockets. Seven people were wounded in Gaza, the enclave’s health ministry said, as explosions rocked areas of the Gaza Strip and balls of fire rose into the sky. There was no indication Hamas leader Esmail Haniya was at his office at the time it was hit. In comments from the White House, Netanyahu said “Israel is responding forcefully to this wanton aggression,” while Trump spoke of Israel’s “right to defend itself”. Netanyahu said he would return home after meeting Trump, cancelling an address to pro-Israel lobby AIPAC’s annual conference on Tuesday. One Israeli strike destroyed a building in Gaza City that Israel alleged was a secret headquarters for Hamas security and intelligence. Residents of Gaza said the building was known to house the Hamas-linked Multasim insurance company. Hamas’s interior security office in Gaza City was also hit.